Doctor Sabrina Springer joined the Navy Medical Corps to serve at the Lake O'Neill Naval Hospital on Camp Pendleton. Her willingness to honor her promise to her father, retired Marine Gunner Hank Springer to take care of his Marines caused Sabrina to challenge the system and rules she felt were detrimental to the health and welfare of her patients. Both detractors and supporters respected her skills as a surgeon. Her patients were her first responsibility and she instilled her values and work ethic into those who worked with her. Sabrina demanded and expected them to take that extra step for combat and support personnel equally. Sabrina was a leader, whether in California or Afghanistan. Her attention to duty placed her in harm's way. She set her own safety and life aside, but love finds a way even in war. 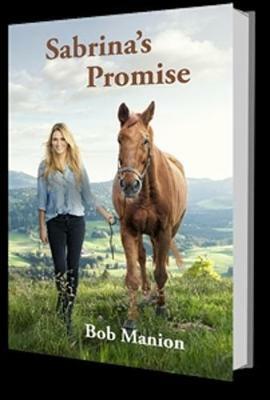 Sabrina's Promise: a story of Love, Duty, Courage, Honor and Commitment.